What are the differences between the adidas F50 and X15? Find out here. 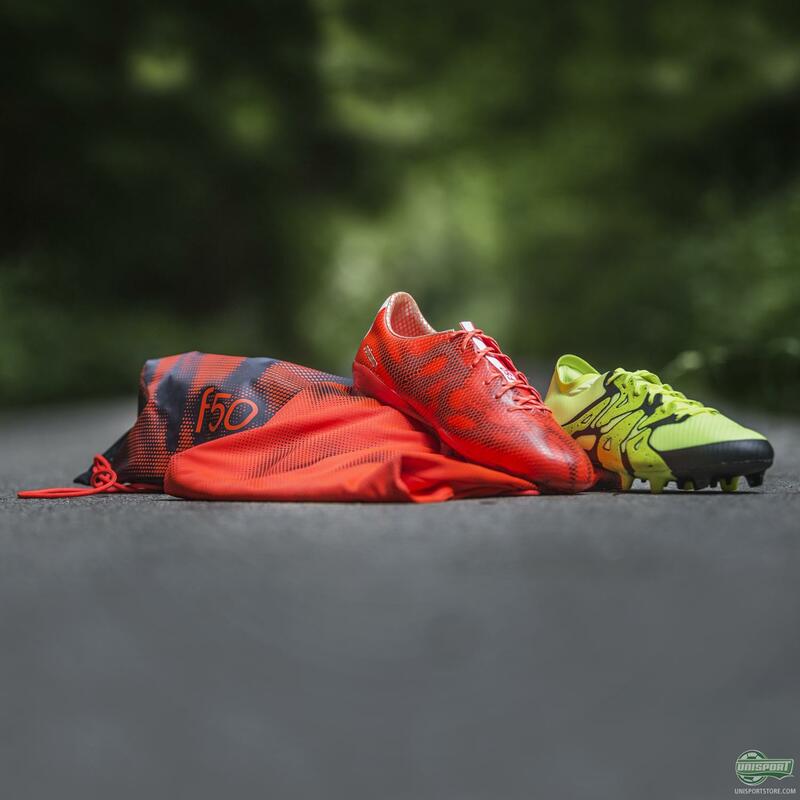 In many ways the f50 adizero was always used by players who courted chaos, but the boot was however never fully geared to their volatile play-style. 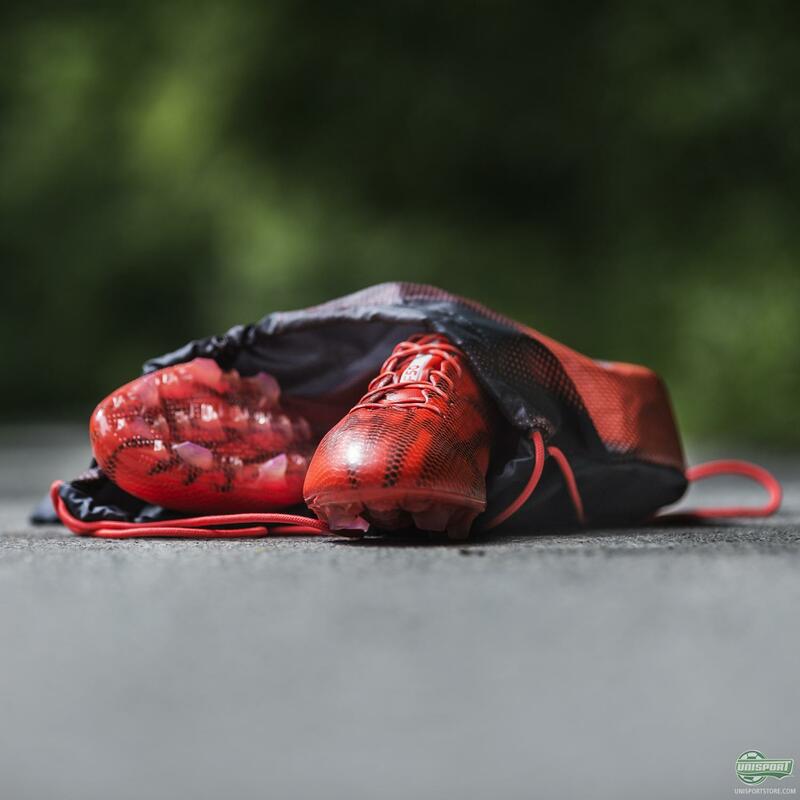 The f50 adizero was made with a simple Hybridtouch upper, which gave you a very sharp touch on the ball, as well as keeping the boot lightweight. The X15 however is filled to the brim with innovation and has far more to it, than just that. Adidas call the new X’s upper the X-Skin, and it is built up around three layers, which all serve various purposes and enhance many different aspects, such as comfort, grip and protection. 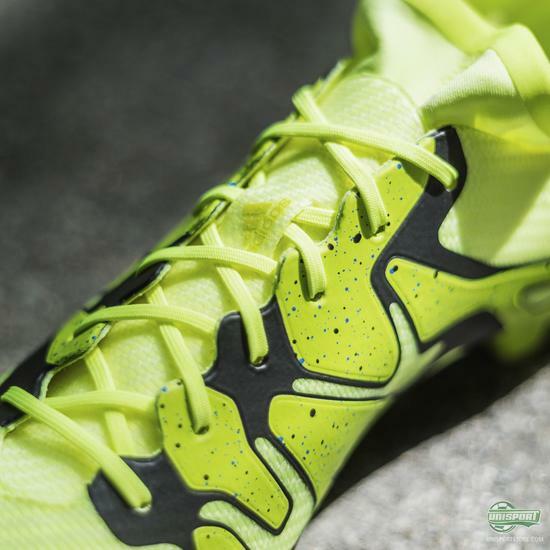 One of the more noticeable differences between the f50 and the X15 is the introduction of the Techfit Collar. 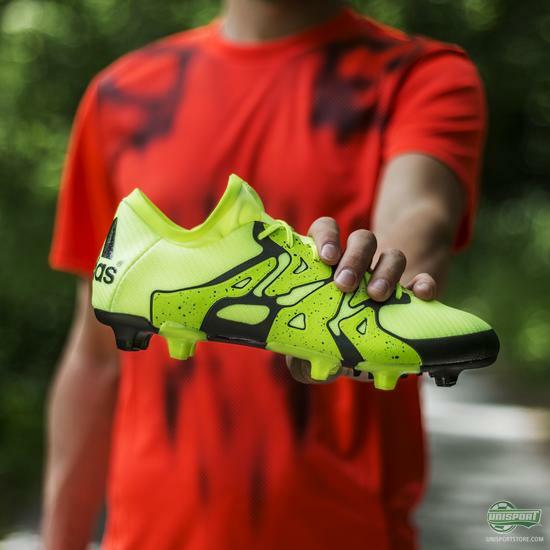 The compression material that sits around your ankle really locks your foot in place and lets you feel at one with your boot in a way the f50 never could. It is testament to the relentless innovation that takes place at adidas, that they can still find ways to improve a brilliant product like the f50 adizero. 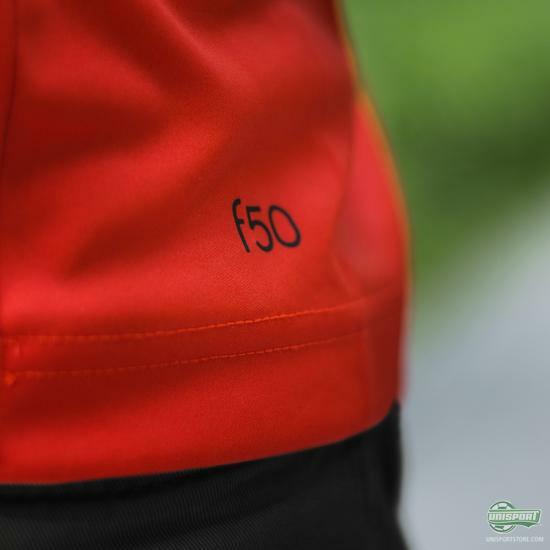 The f50 was loved by millions around the world and we still do have the model in stock. 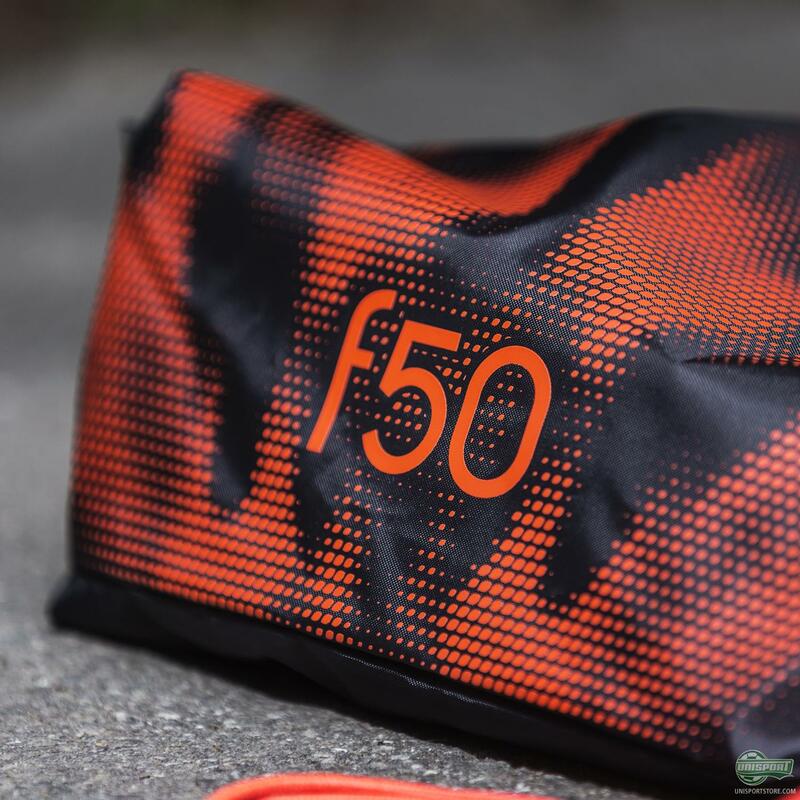 To celebrate the life of the adizero, we will include a free f50 t-shirt and gym bag, when you buy a pair of adidas F50 adizero. Find out what size you need the t-shirt in and note it down in the comment-section, as you complete the order for the F50 boots. Please note: There is only limited stock and the giveaway will run as long as stock remains. If you flip the two boots around and check out the stud-configurations and soleplates there are some, albeit slight, resemblances. 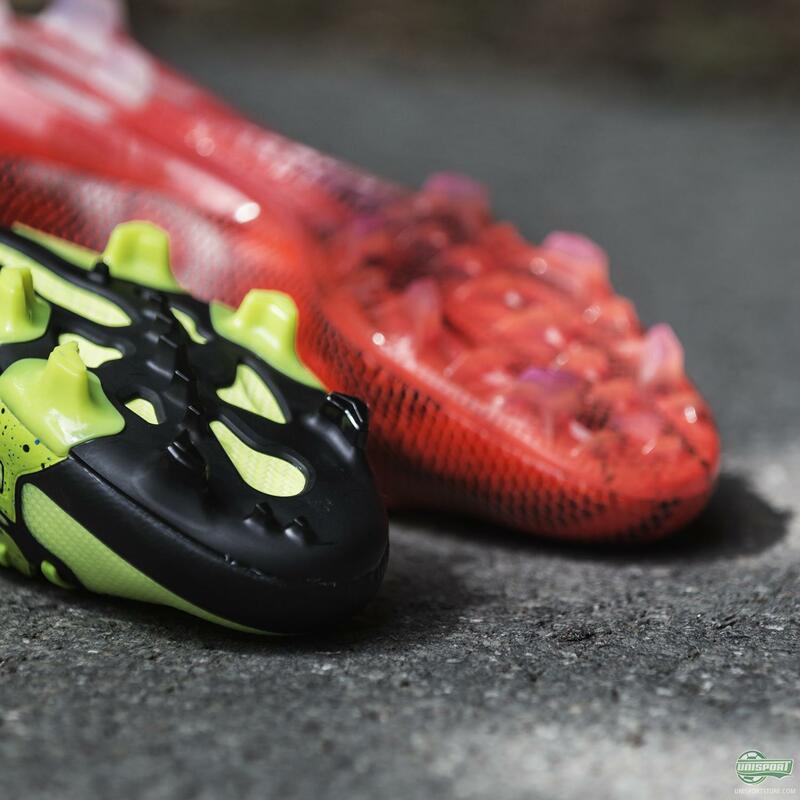 On the newest generation of the f50, adidas switched things up with the stud system and it actually turns out that this was a bit of a prelude to the X15. 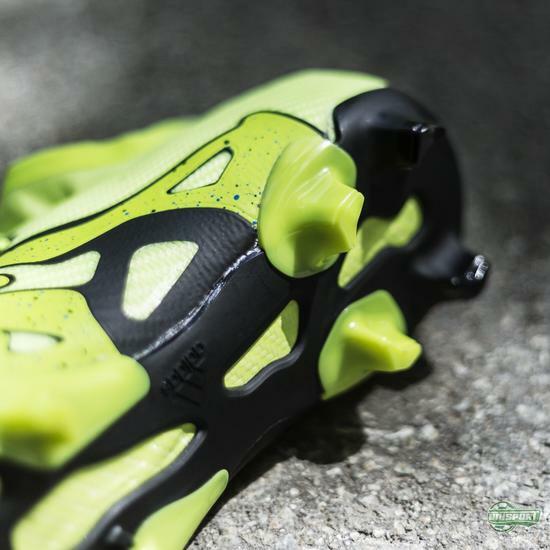 The smaller jagged studs are like the ones we see on the X-Claw system, which work to give you that last bit of aggressive acceleration. 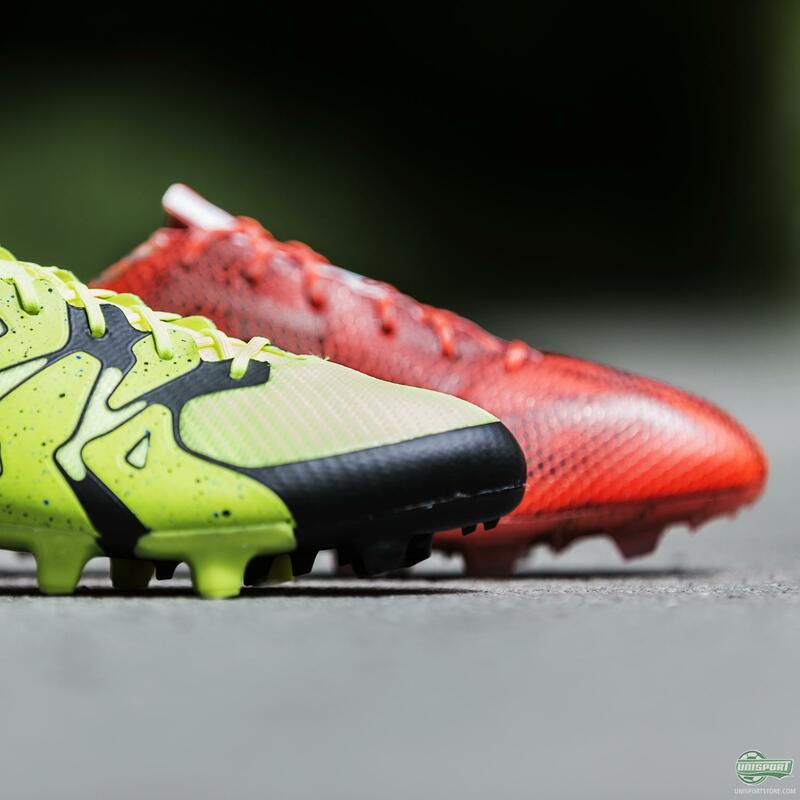 One major difference is however that the new X15 can be used on both artificial grass and regular grass, which is an awesome new feature that we really love. 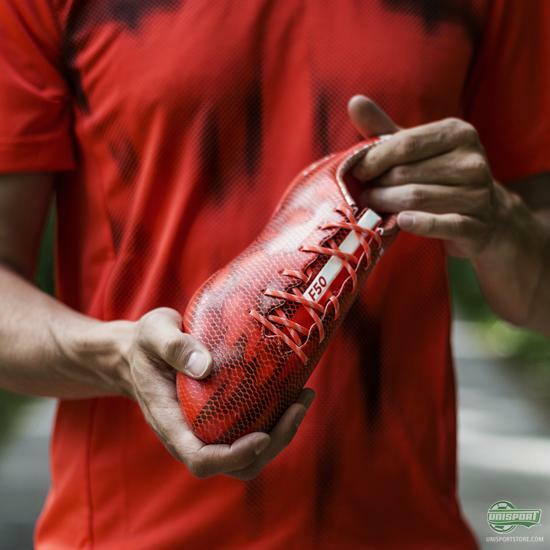 If you are a player like Luis Suarez and Gareth Bale, who loves to cause chaos, then the X15 is just your thing. Find it here – just 200 euro. 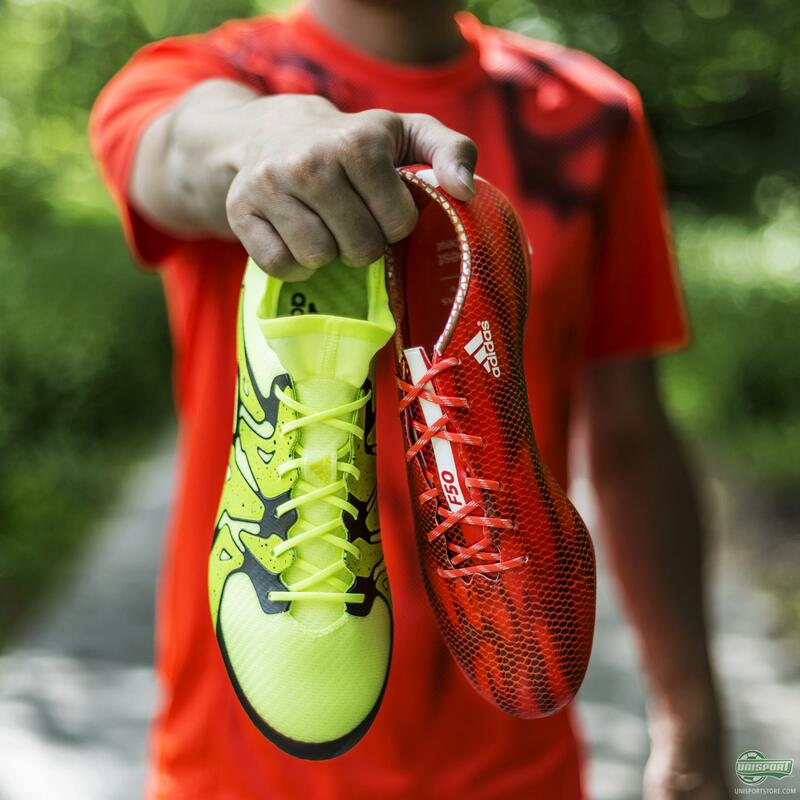 The differences are plenty, but they all strike us as steps forward. Luis Suarez has already proved the boots worth in the final, where he on several occasions had the Juventus defenders on the ropes. What do you think – will you be doing damage in the X from now on, or will you stick to the f50?